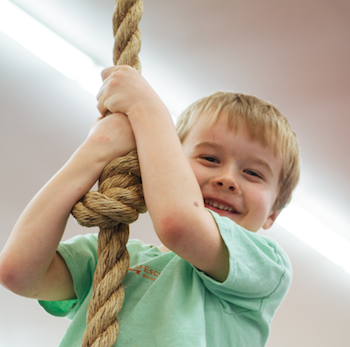 A special chance for young children between ages 0 months to five years to play in our gym without big kids. With parental supervision, young gymnasts can play on age-appropriate equipment. 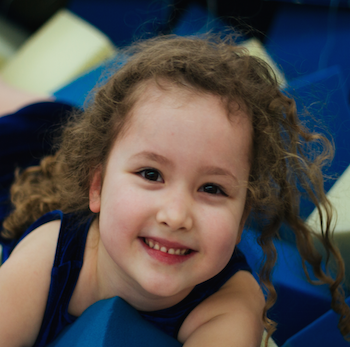 The trampolines, a Tumbl Trak, a huge foam pit, a child-sized climbing wall and small obstacle courses are perfect for early learners. Children 0 months- 5 years with their caregiver. We’re sorry, but older children are not allowed. There must be an adult for every 3 children in a group. Adults must stay with their children at all times. Only children are allowed on the equipment. Some equipment is off limits, such as High Beams and High Bars. One child per trampoline, including the Tumbl Trak. The Tumble Trak is one direction only. Only feet or bottoms first in the Foam Pit. Diving head or stomach first is dangerous. Please change diapers in the Restrooms and dispose of soiled diapers in the Diaper Genie.